Voice Prompts guide you through installation. 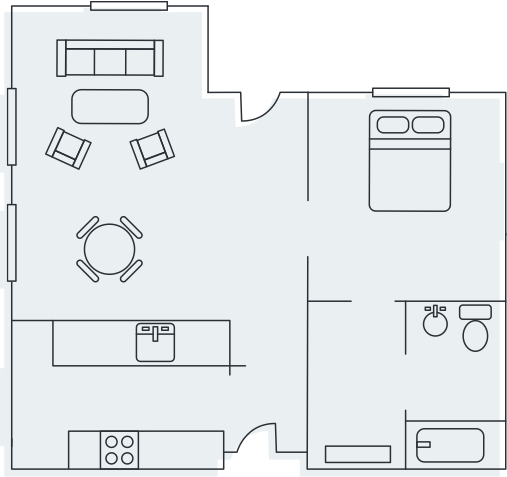 Built-in Cellular and Wi-Fi: No phoneline needed. Twin cellular and Wi-Fi connections run in parallel. So your home is protected even if your home phoneline is cut or Wi-Fi downed. 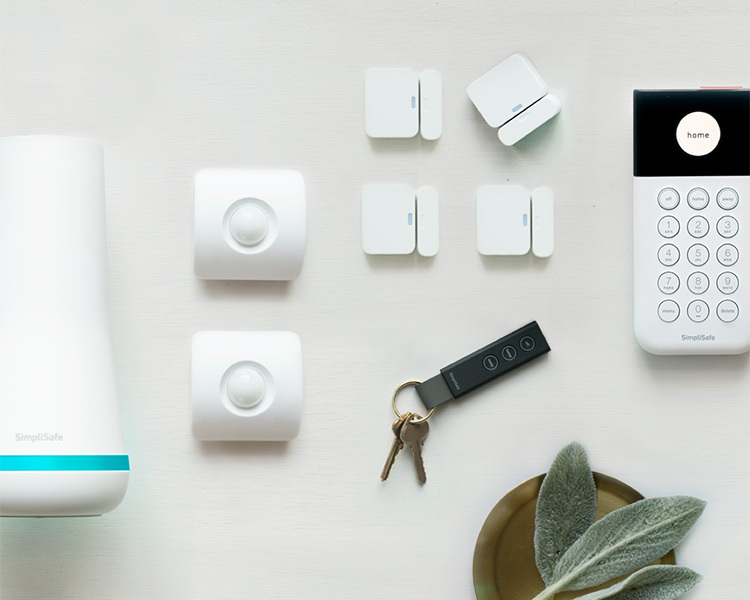 100 Sensor Capacity: Get all the sensors you need to protect any home, large or small. Backup Battery lasts up to 24 hours during a power outage. Base Station will recharge them once the power is restored to your home. Ready to protect, right out the box. 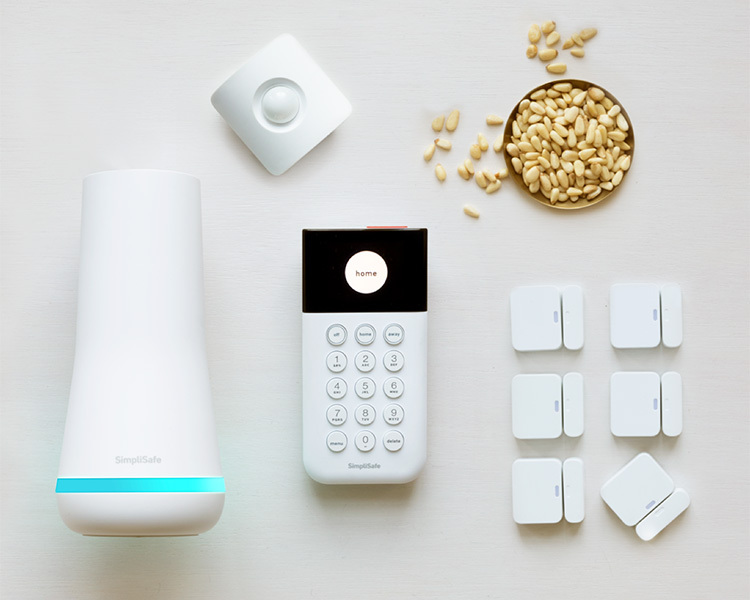 Just plug in the Base Sation and it will locate and control all of your sensors, making SimpliSafe the easiest security system in the world to set-up. It's also responsible for sending all your alarm signals to our 24/7 alarm monitoring center. Your Base Station will arrive equipped with the same cellular technology that's in your cellphone. Inside there is a SIM card that gets activated when you subscribe to our alarm monitoring service. 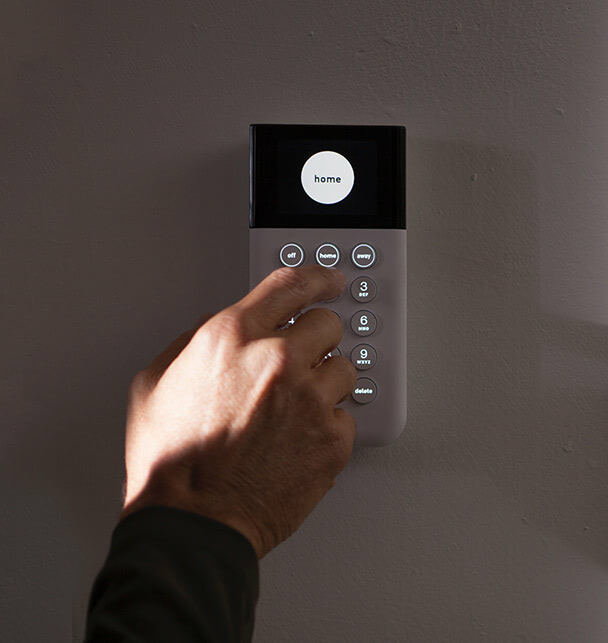 Touch-to-wake The new Keypad is smaller, softer, and smoother. It's got a bigger, brighter display, long signal range and illuminated keys. Wakes with a touch. Lights up when you need to see it. Goes dark when you don’t. No Wires. Long Life. There's no need to plug it in, so you can put it anywhere you like. Open Window Alerts You have left home with a window open. At least once. We’ve got you covered. Leave with an entry sensor open, we’ll let you know and make it easy by telling which window is open. SmashSafe An intruder can smash the Keypad. Your system will still alert the authorities. 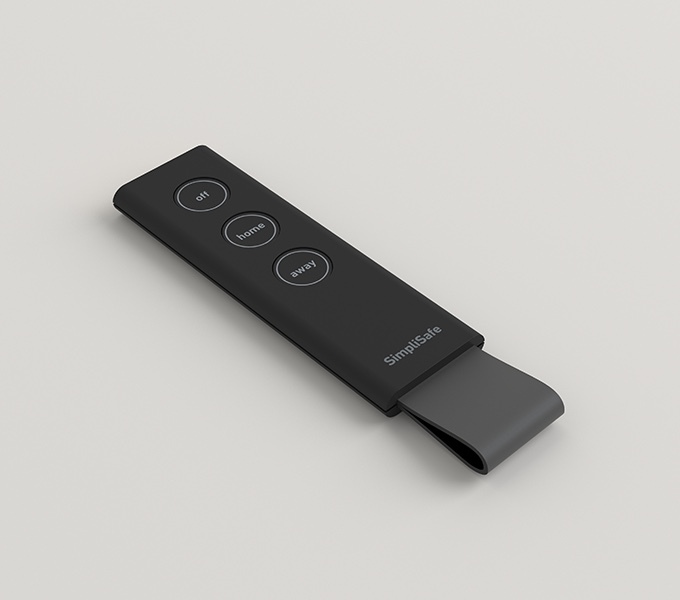 Arm and disarm your alarm with a push of a button. Set your alarm to away after you leave to protect your home. Simply press off to disarm your system as you approach your front door. We hope you never need it, but just in case, we made sure to put a Panic Button on your Key Fob. Pressing this button alerts our emergency monitoring center that you need help fast. Detects motion within 30 feet. The sensor has a 90 degree field of vision, giving you a full range of coverage when placed in a corner. 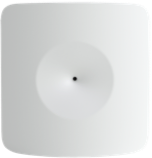 The sensor is shaped to stand on a shelf, adhere to a wall, or fit in a corner for maximum room coverage. 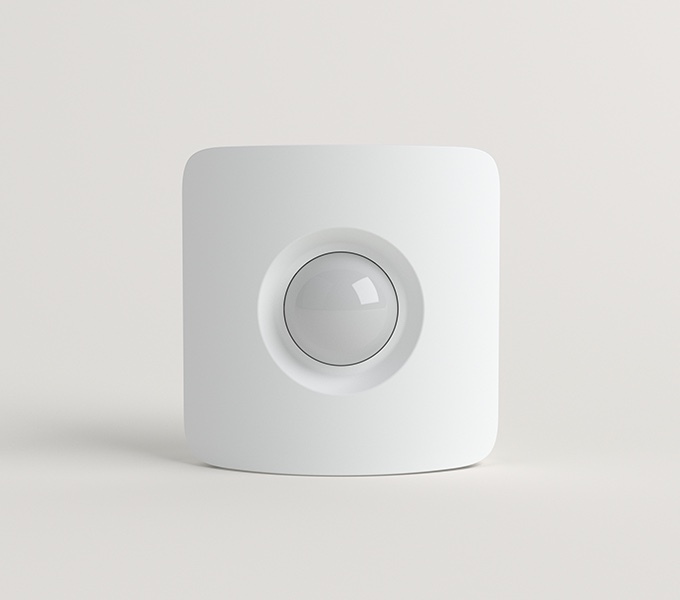 Set the sensor to be active only in “away” mode (so that you won’t trigger it when you’re at home) or both “home” and “away” modes (for rooms that you want covered with a motion sensor while you’re home). We precision-engineered our motion sensors to detect the unique heat signature of people. Your dogs and cats under 50 lbs won’t trigger the alarm. Easy to install on every type of door or window. The magnet goes on the door or window, and the sensor goes on the frame (or vice versa). Magnet can be placed up to 2 inches from the sensor, so sensors fit on all types of doors and windows. 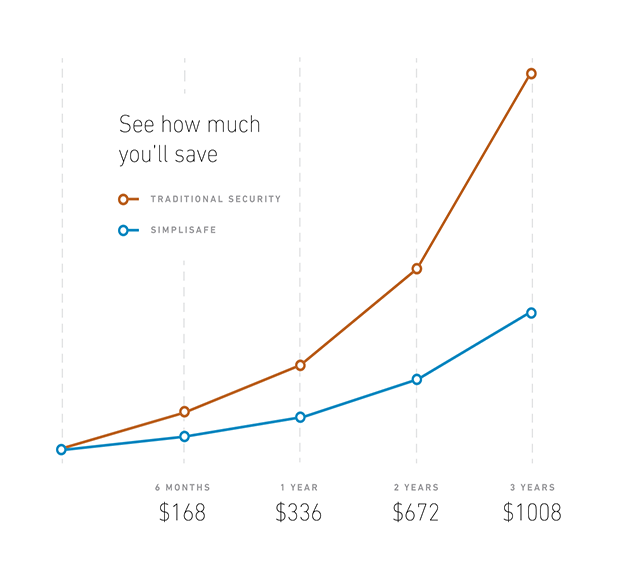 SimpliSafe sensors come with the battery pre-installed and adhesive tape pre-applied, making set-up a snap. When your system is OFF and a door or window opens, the Base Station will sound a door chime so you’ll know if someone is entering. 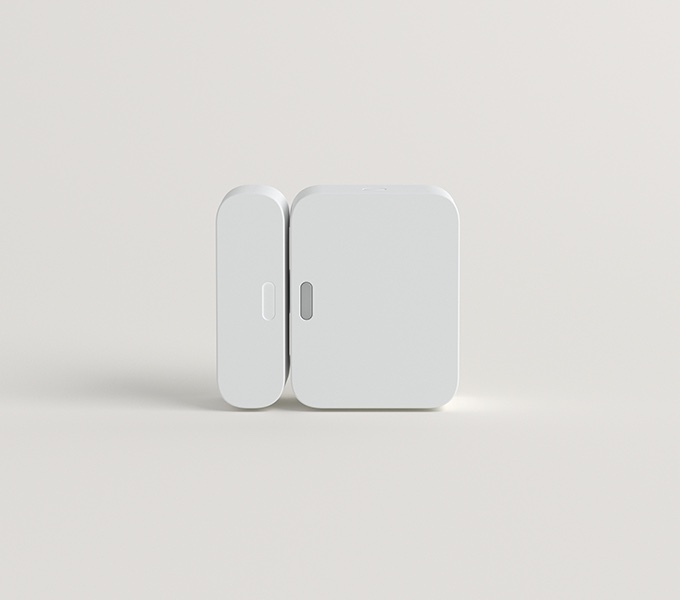 The sensor detects whenever the magnet moves more than two inches away from it—so it knows whenever the door or window opens. This 105 decibel siren will feel like sitting in the front row of an ear-piercing rock concert. You can use it inside or place it on the outside of your home to alert the neighborhood. This siren will ensure any intruder knows you’re protected. Weather resistant for outdoor use. Easily mounts under an eave outside or adhere to a wall inside. The freeze sensor will trigger an alarm if the temperature in your home falls below 41°. Our alarm monitoring plans also give you the options to get: a phone call and SMS/Email in the event of a freeze alarm and access to hourly readings of your home’s temperature in your app. If you have a vacation home, this sensor is worth its weight in gold if it saves you from repairing expensive burst pipes. You can also set an upper temperature limit to protect precious objects like instruments, paintings and plants in a climate controlled room. If a burglar breaks a window in order to enter your home, this Glassbreak Sensor will detect the sound and trigger your burglar alarm. Pair it with a Motion Detector in any rooms on the first floor that have multiple windows. Pressing the panic button will instantly trigger the alarm and our monitoring center will call to check if you’re okay. If you don’t answer the phone or don’t give your “safe word” when you answer, we’ll alert the police that you’re in danger. If you are a retail or business customer, we can program your system to activate a “silent panic” feature for you, allowing you to signal for help without alerting the intruder. When a fire is quickening in your home every second counts. 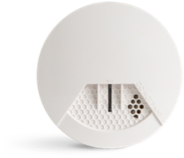 SimpliSafe Smoke detectors are built with photoelectric sensors for increased safety over ionization sensors. Photoelectric smoke detectors respond faster (typically 30 minutes or more) to fire in its early, smouldering stage before it breaks into flame, giving you and your family more time to get up and out of your home. Photoelectric sensors are also less likely to trigger false alarms. Never worry about sleeping through a fire alarm. This smoke detector will sound its own internal siren as well as trigger a full-blown security system alarm. 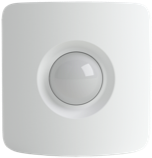 Your Water Sensor will trigger an audible alarm whenever it comes into contact with water. Our alarm monitoring plans offer additional options to get an phone call and SMS/email alert of any water alarms. Flood damage is the most common home insurance claim, and it’s certainly one of the most expensive. Place it near major plumbing to detect breaks or in the attic to detect a leaky roof. Undetected floods and leaks can lead to mold infestations, ruined carpets, warped wood floors, damaged cabinetry and more. Carbon Monoxide is a gas that you cannot see, smell or taste. Deaths due to CO poisoning most often occur at night, when everyone is sleeping. 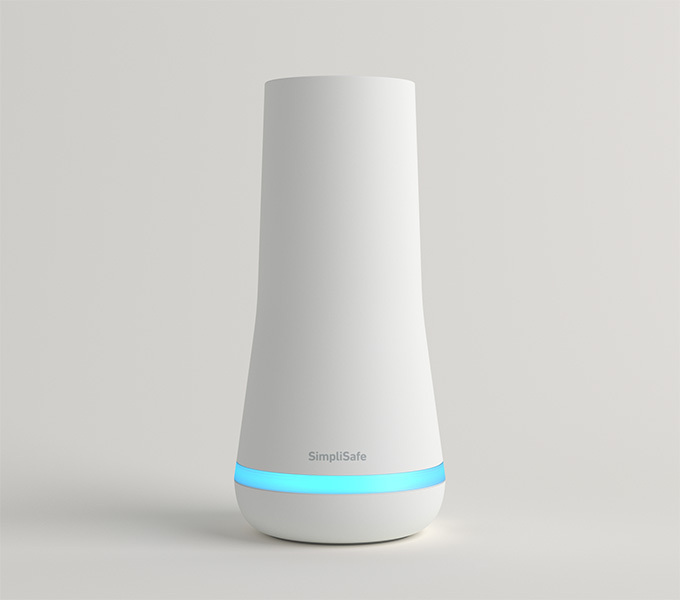 SimpliSafe’s CO detector uses electrochemical sensing technology for highly accurate and early detection of this invisible but deadly gas. 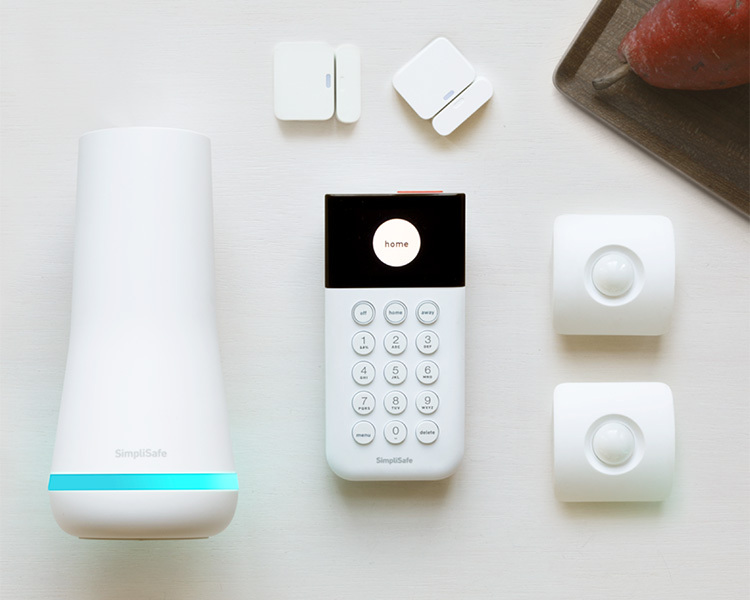 Dangerous levels of CO will trigger both the sensor’s internal audible alarm and the siren in your SimpliSafe security system. Cops love when an alarm is visually verified. It means the alarm is a) the real deal and b) in progress. And that means they are way more likely to catch the criminal.  Try this system in your home for sixty days. 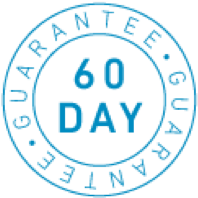 If you aren’t completely satisfied (we think you will be), return it for a full refund. We’ll even cover return shipping. Everything in the Essentials. Plus, a key fob. It’s just about the slimmest one you’ll ever find, with a panic button tucked away on top. Protects your doors and windows. Works with any door or window. Stop burglars where they break in most. Front and back doors and first floor windows. For rooms with 3 or more windows, consider a motion sensor instead. Covers an entire room. Get at least one for a main room or hallway. Gets along great with pets. Get one to protect rooms on the ground level with 3 or more windows. Skip getting entry sensors for these windows. An extra keypad for garage door entrances, back doors or upper levels of your home. No power needed. Don't buy this now. 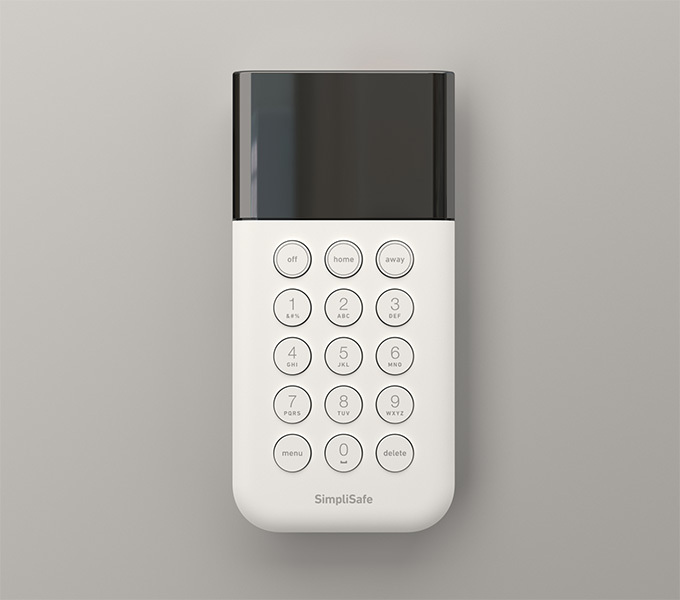 Your SimpliSafe comes with one already. If you want more later, it’s easy to add them. Works just like your car’s key fob. Press a button and your system’s disarmed before you enter your house. Consider getting one for anyone who might forget their PIN code. Detects leaks and potential floods, so you can stop water damage before it happens. Place it close to common household water sources. Your sinks, toilets and water heaters. Triggers when a fire's still smoldering—before a full fire breaks out. Loud system-wide sirens jolt you awake and out of the house. Get one for your sleeping areas. Place one in every bedroom for more security. If you're at home during an intrusion, press this to instantly trigger your alarm and dispatch police. Place one in your master bedroom for easy access. Perfectly calibrated. Picks up the sound of a smashed windows. Not smashed plates. A power combo when you use it with a motion sensor. Put it in a room with lots of windows or sliding doors. Triggers if your home drops below 41F, so you can stop pipes from freezing and bursting. Place it near your thermostat in vacation homes and climate-controlled rooms. About as loud as a Led Zeppelin concert in '72. Place it inside or outside the house. Get one. It’ll scare the pants off burglars and alert neighbors to a break-in. See what’s happening at home anytime from your phone, tablet or computer. Get alerts when your camera detects motion. Place your camera in a main hallway or room that sees a lot of foot traffic. Homes without security systems are 3x more likely to be robbed. Let intruders know who’s boss. One comes free with your system. Get more if you live on a corner or have a huge lawn. center, then sounds a loud 95dB siren. you can place it anywhere you like. We recommend by the front door. them as they try to pass through. It's like having a personal security guard in front of your house. Our specialists watch over your home day and night, ready to alert the authorities when you need help. 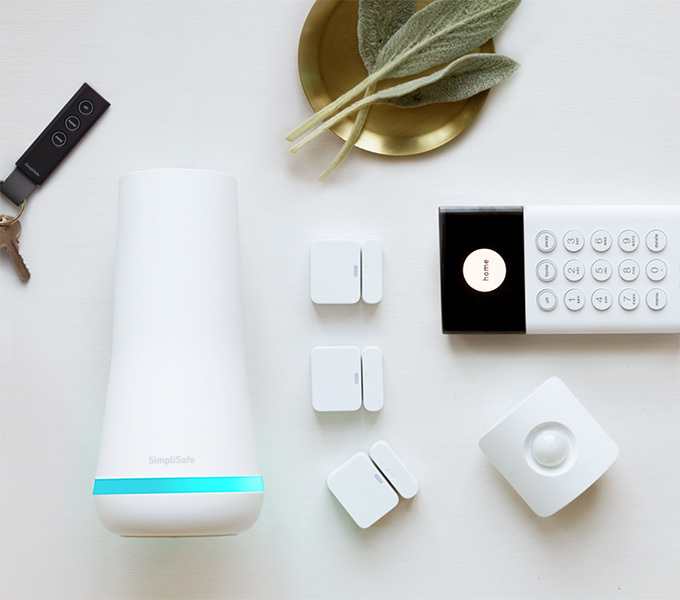 sensors, and start protecting your home. The all new touch-to-wake keypad. Lights up when you need to see it. Goes dark when you don't. It doesn't need power, just a good place to put it. Alarms that cry wolf? No thanks. We precision-engineered our motion sensors to detect the unique heat signature of humans. Not pets.